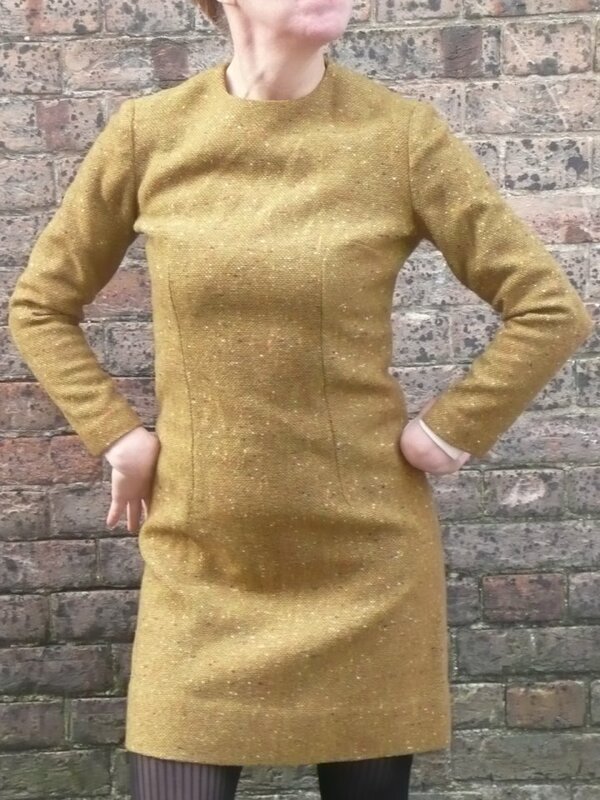 Vintage 1960s American brown tweed straight dress with long sleeves. 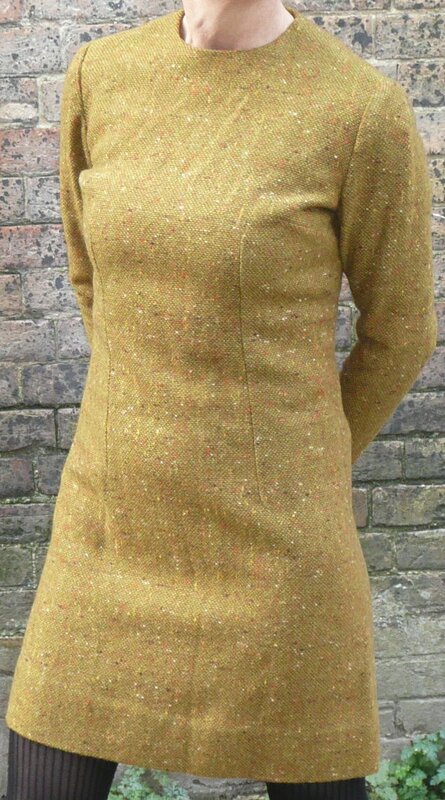 This is a typical 60s, straight, fitted dress, made from a tweedy wool with a round neck and long sleeves. 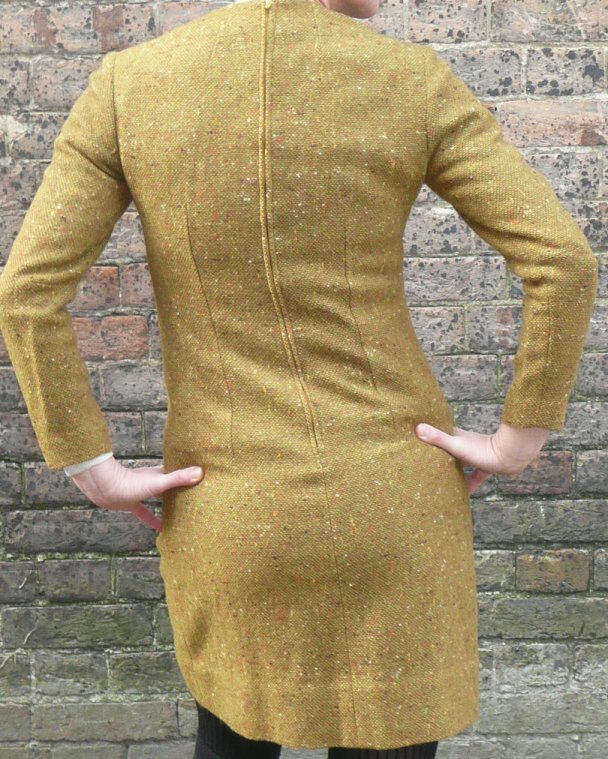 The body is lined, it fastens with a long rear metal zip, and ends about four inches above the knee. It's warm, comfortable, flattering and far too cheap. In perfect condition, it fits a size 10 very nicely. Approximate garment measurement are: bust, 36 ins/91.5 cms; waist, 32 ins/81 cms; hips, 39 ins/99 cms; length from back of neck, 35 ins/89 cms. 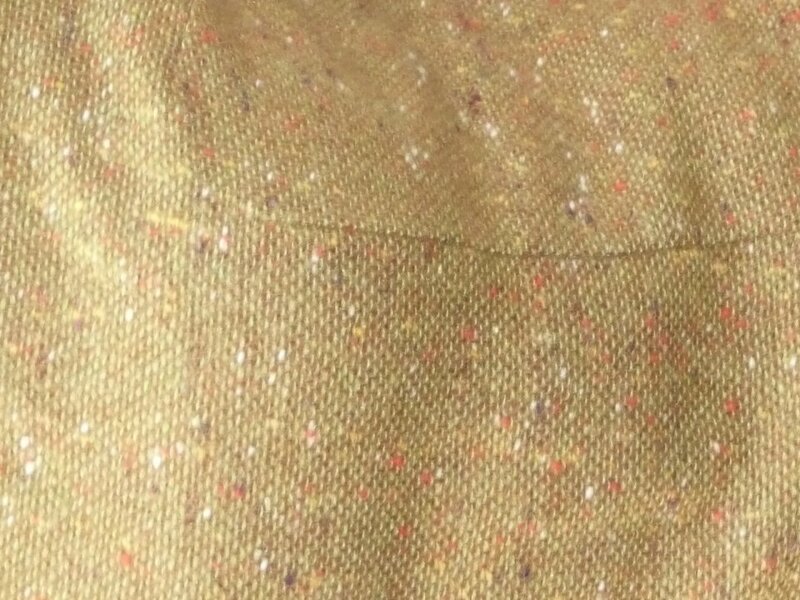 Colour is slightly darker than suggested by the photos.